As 2018 comes to a close, so does a year full of great news and excitement for Infinity. In my opinion, it was one of the most influential years in the game’s history, as among many other things, we launched five new sectorials - The Japanese Sectorial Army (JSA), Tunguska, Varuna, the Tartary Army Corps, and the Operations Subsection of the S.S.S. The background has advanced with the secession of the Japanese and the Third Offensive, and during all of this, we released a plethora of new miniatures —although we didn’t end up releasing a new version of Musashi. I'm not complaining though: after all - we did release a new Jeanne! 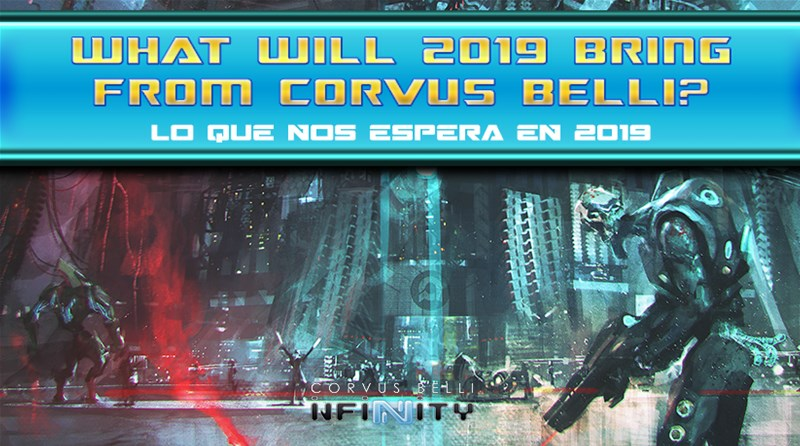 Our minds are already set in 2019, as you could see on the calendar at Gen Con with all those questions marks and the huge black N. There are so many theories floating around, and I can even say that SOME of them are getting REALLY close! The black N is next year’s biggest surprise - and if everything goes as expected, we will be able to release some details at AdeptiCon.